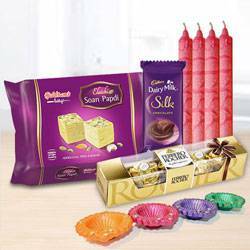 Celebration special wishes are best delivered by gifting this Awe-Inspiring Gift Hamper of Diwali Feast to your family and friends. 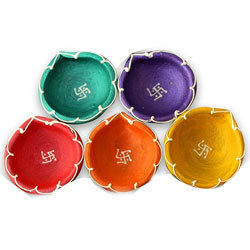 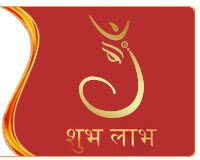 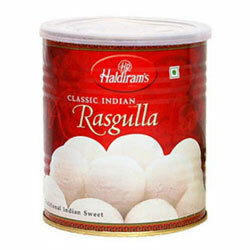 This radiant Gift Tray is sure to make loved one feel special on this festival of lights as it is enclosed with 250 gm. 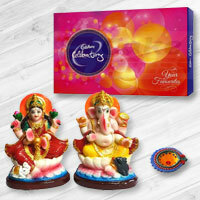 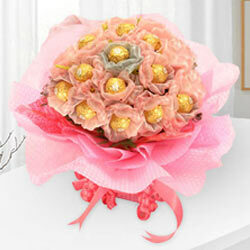 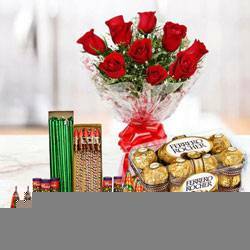 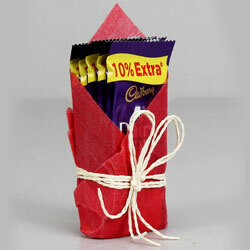 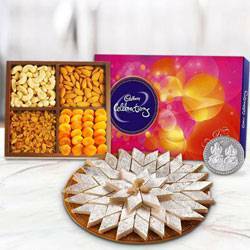 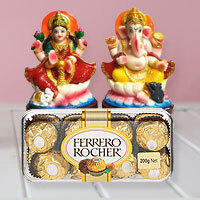 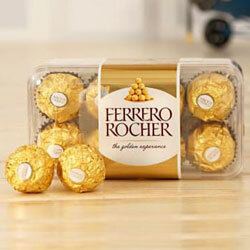 pack of Dry Fruits, 8 Ferrero Rocher Chocolates Box, a Free Silver Plated Lakshmi Ganesh Coin and 6 Decorative Diyas.